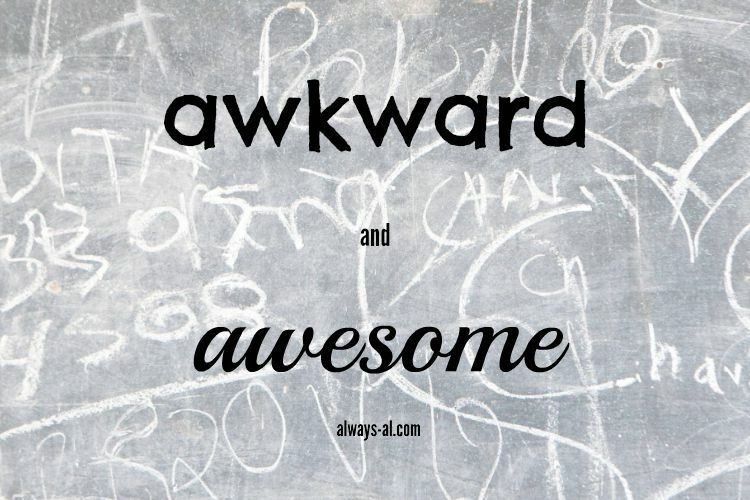 It's the end of the month, and that means it's time for another Awkward and Awesome link-up! I feel like it is link-up central around here lately, but that is totally okay by me, because I get to read lots of good posts and meet some wonderful people through links! Don't forget to join in for Blogger Men Tell All tomorrow! Again this month, I am sorry for so much wedding talk. I am just so dang excited, and we have been waiting for this day for a long time!! -This whole post, where I talk about how I’ve fallen off the deep end. Yes, I have been lotioning myself about 3 times a day. Who doesn’t want silky smooth skin? -Packing for a two week long road trip. Aka pack all the things in a Corolla. -How peach skin feels fuzzy in your mouth. Weird. -The status of my bank account. Weddings are ‘spensive. -My phone keeps turning off when it is at about 15% battery. Time for a new one? -We get our marriage license tomorrow! Hooray for being legally allowed to wed.
-I have a new favorite meal: Deconstructed yogurt parfaits. I usually use a bento style container, and add greek yogurt, homemade granola, and one or two kinds of fruit. I could eat this every day. -Our time exploring Pittsburgh on Saturday was so fun! We were apartment hunting, and I can't wait to move in. -Our bridal party and family all come in on Thursday and Friday! I can't wait to see them! -6 more days until #teamwhywedding! Join on Snapchat, and follow the hashtag on Instagram! Now it's your turn! Share your Awkward and Awesome stuff from this month! This link up is open for a week.